Anxiety: Fight, Flight or Accept? When it comes to mental health issues, presenting conditions are often exaggerations of normal human experience which are so far to one end of the scale that they are causing the sufferer problems in his or her daily life. 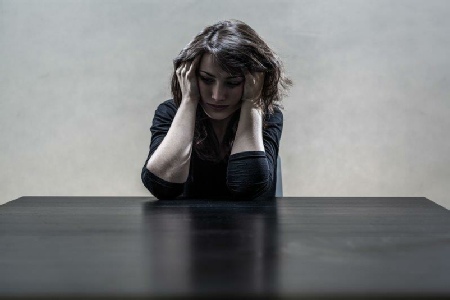 Anxiety is a problem for many people, yet is it 'curable'? Clients often arrive in the therapy space stating that they want to be 'rid of anxiety for good'. This is understandable, especially if it is having a negative impact on their relationships, work life or sense of wellbeing. It comes as a shock to many when I explain that perhaps the goal of any counselling work undertaken may be better focused on managing their anxiety rather than eliminating it. Anxiety and the accompanying physical effects of a rapidly beating heart, sweaty palms and a heightened sense of awareness all serve a purpose in our lives, and without these bodily reactions to certain events we almost certainly wouldn't be here to recount our story at all. If, for example, the body didn't release adrenalin in double quick time when we unexpectedly become aware of the car on the road we hadn't seen, we may well not have the ability to escape the situation and avoid the danger. Anyone who has been in that situation will know that once the threat has passed and they are safe, it can take a good few minutes for our bodies to relax and return to calm. The 'fight or flight' reaction to threat kept our distant ancestors safe from all manner of danger, giving them more focused vision and increased blood flow in order for them to either fight the attacking predator or escape from it. While this was (and, as in the car example above, still is) very useful where appropriate, if an email lands in your inbox demanding that your report is submitted tomorrow when there are a thousand and one other things to do before then, the 'fight or flight' response becomes less helpful. A release of adrenalin and tense alertness if more likely to be counterproductive than an aid. There is no car to watch disappear into the distance, no wild beast to observe moving on to another part of the forest, and so you are left with the feelings of stress and pressure. Working on how to react in that moment, and figuring out what (non-harmful) coping mechanisms you can employ on leaving work for the day to help you recharge and unwind can be a productive use of therapy. Be it an altered perspective, or more acceptance of your limitations and expectations of what is possible in 24 hours, learning to 'ride the wave' of anxiety and knowing that the feelings will pass if you let them can be a revelation for many struggling with worry and anxious thoughts. So, can anxiety be 'cured'? How would it be if it were no more?